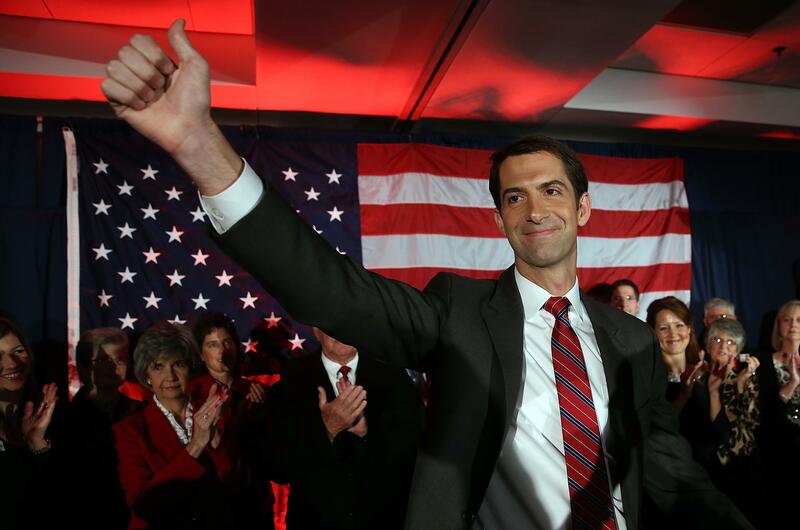 Tom Cotton 2020: New law would let Arkansas senator run for both Senate and White House in 2020. Thanks to a new law advancing through the Arkansas Legislature, the state’s freshman U.S. senator, Tom Cotton, could have a much clearer shot at the White House if he wants it. But don’t update your 2016 Republican Fantasy League roster just yet: Cotton is having something of a media moment this week due to his leading role in the controversial letter to Iran, but his boosters are playing the long game, setting him up to run for president in 2020. If the change becomes law, Cotton would avoid an obstacle that has threatened to trip up his Senate colleague Rand Paul, whose presidential aspirations are more immediate and whose state legislature is evidently less cooperative. Paul has been unable to secure a change in Kentucky law that keeps him from running for two federal offices at once in 2016, a wrinkle that has the Kentucky GOP planning a caucus to avoid putting Paul on an actual ballot and, in theory, allowing Paul to run for the Senate and the White House in the same election.